A quick review for a quick read. This book has a lot of things going for it. It's cute, has great rep and deals with an important topic (undocumented immigrants). The format is great and unique, and it reads fast. I loved the diversity. Natasha is Jamaican (ownvoices) and undocumented, Daniel is Korean-American and both are well explored. I don't fall in any of these marginalisations so I can't speak on the representation. However, Nicola Yoon is Jamaican herself and I heard she is married to a Korean-American guy, though I'm not sure about the latter. It was so great to read a book with a main character that's undocumented, to see how it affects life, or not, and what challenges it brings. This was not the focus of the book but is still so very important. The exploration of this, in combination with race and other interesting topics definitely bumped up the rating for me. It deals with racism, family, relations, expectations and immigration, and even though not all of these get the same amount of time in the spotlight, all are handled well. I loved how the book played with perspectives and interlude chapters as well as brief histories about objects or concepts or other, not living and breathing things. What made the "only" 3.5 rating is that I didn't really connect with the book. 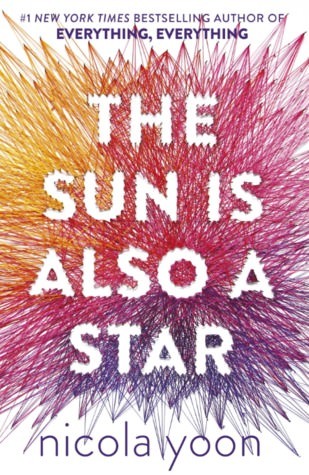 A lot of my goodreads and other reading friends absolutely loved this and I feel like I missed that level of connection from the start. I didn't really care all that much. I cared enough to like it, but not enough for it to blow me away. And (or maybe partially because) there was a too big focus on the universe and instalove. A lot of people will tell you it didn't feel like instalove and/or is rather believable or easy to get into. I disagree but recognise I'm the odd one out this time. For me, the story was mainly an unrealistic romance. It was enjoyable enough, and the things mentioned above were great, but the main aspect of the book is where it fell short to me. Still, if you're looking for diverse books (and if not, why aren't you?) or more specifically, something about immigration, read this.